Amy is 19 and has Cerebral Palsy. 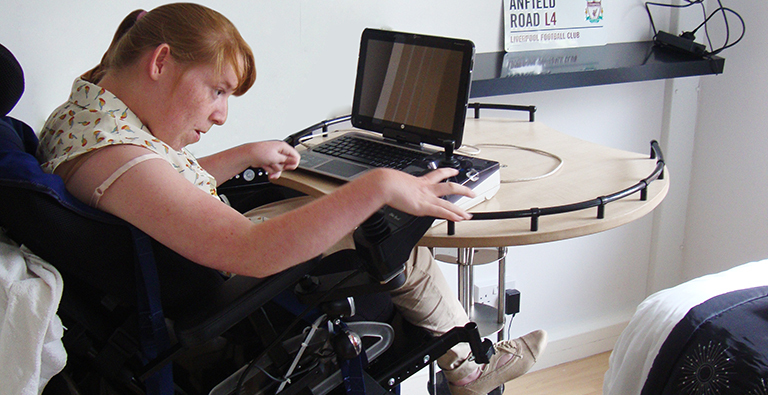 She loves to use her laptop and iPod station but finds them difficult to access on her table due to the height of her wheelchair. Our team recycled the gas lift mechanism from an adjustable bar stool to create a height adjustable and rotating work station. The circular table top includes shaped cut outs to allow her to achieve the best possible working position. 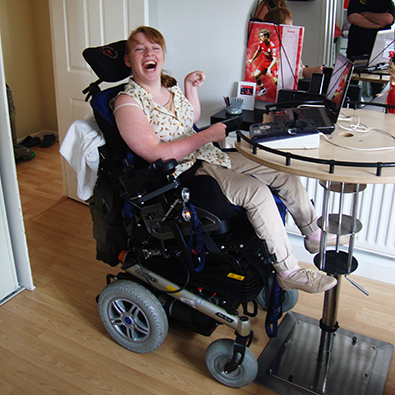 Amy now has the freedom to use her laptop and iPod station whenever she wants.